Video lectures on Coursera present the information you'll need to pass assessments and complete assignments. In most courses, all videos will be available after the course start date. You can watch the videos at your own pace, and you can re-watch a video you've already seen. Because Coursera videos are pre-recorded, you can watch them on your own schedule. You can watch videos by streaming them online, or you can download videos to watch offline. Once you have access to course materials, you can see the videos for that course in the weekly content outline. Open the course home page for the course you want to watch videos in. Click Course Content on the left side of the page. Select a week to view content for that week. Click on a video title to open the video player. 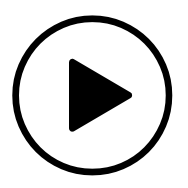 Videos are marked with a play icon . Instead of a weekly list, some courses have a video index page that lists all videos, divided by week or sub-topic.